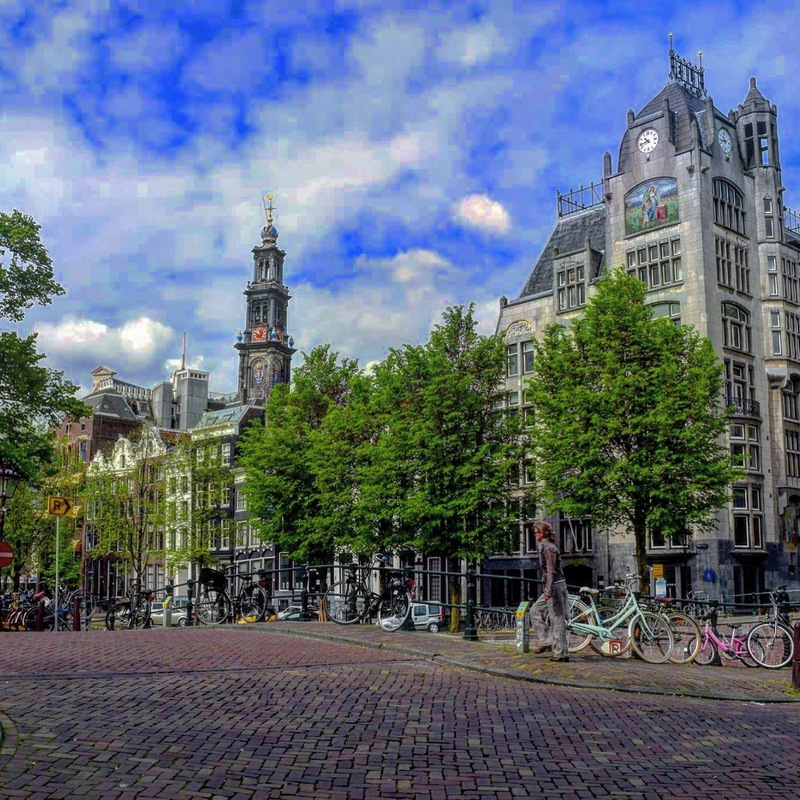 This is a collection of photos from around Amsterdam that captures the spirit of the city. Walking through the city provides a never ending canvas for you to work with. Around every corner there is a new angle or view for you to mold at will into your medium. 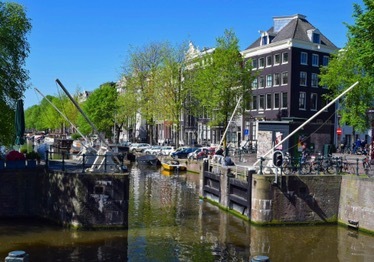 The canals provide so many different avenues for the people of Amsterdam to show case their personalities whether it’s through their houseboat or their row house. 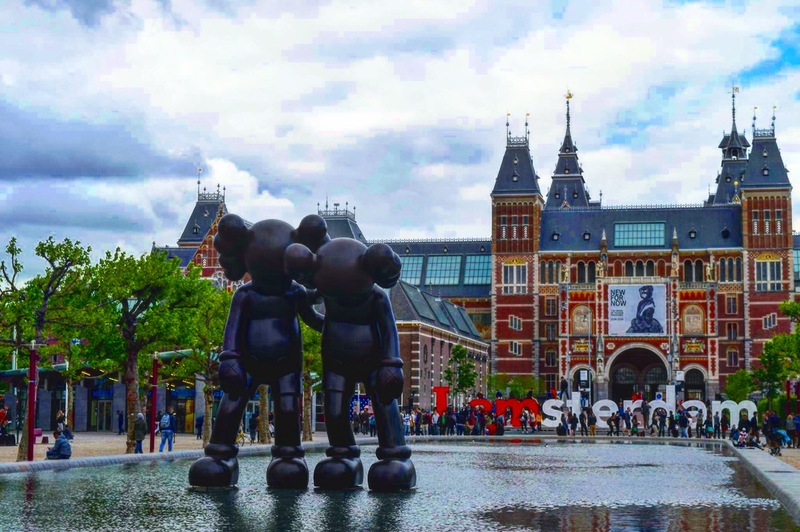 The unique art scene is never far from sight when in Amsterdam and The national museum showcases the Dutch masters. 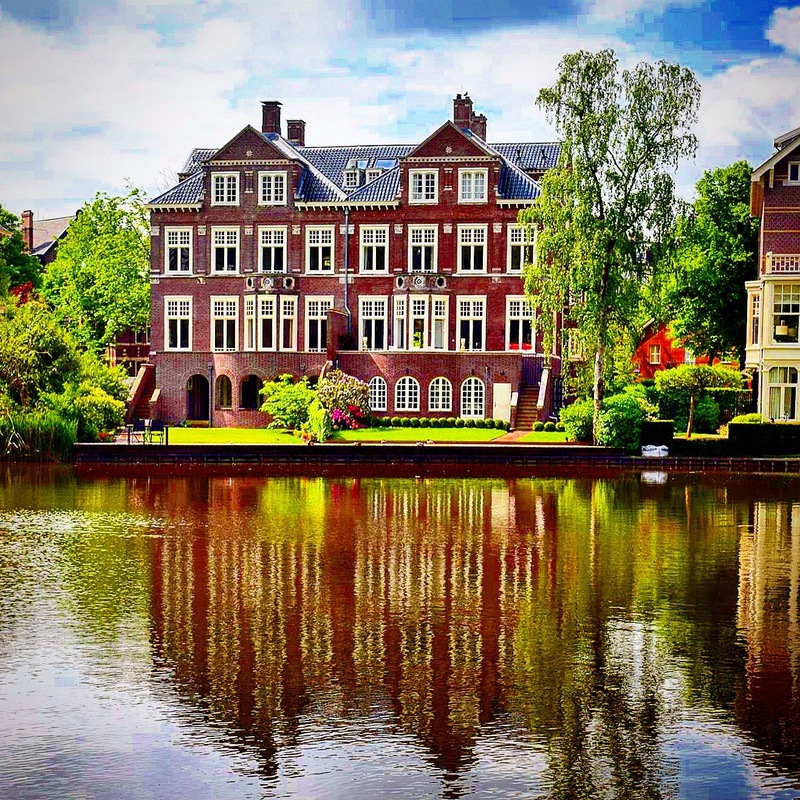 The famous Vondelpark is surrounded by gorgeous homes and wide open space. The locals picnic in the lush landscape and ride bikes across the park cutting down their commutes with a view. 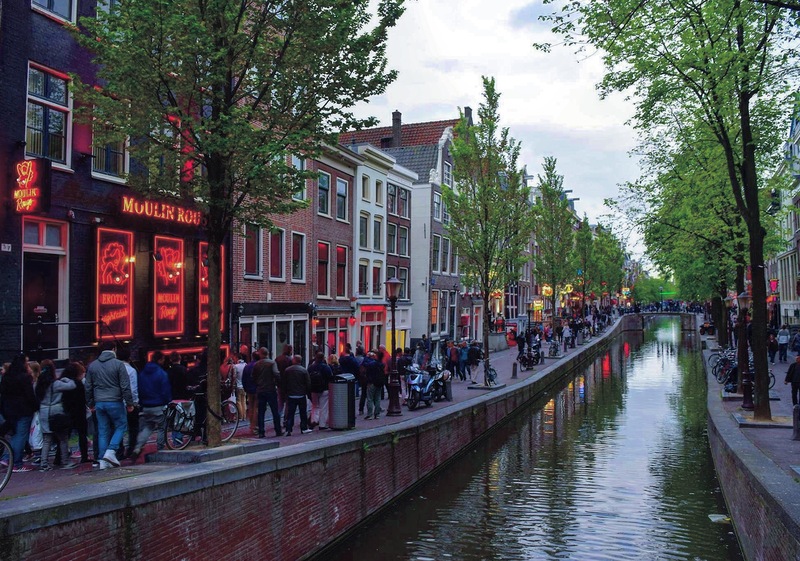 This seedy part of town is lined with bars, coffee shops and ladies of the night. Johns cruise the small alleys looking at ladies in the windows. 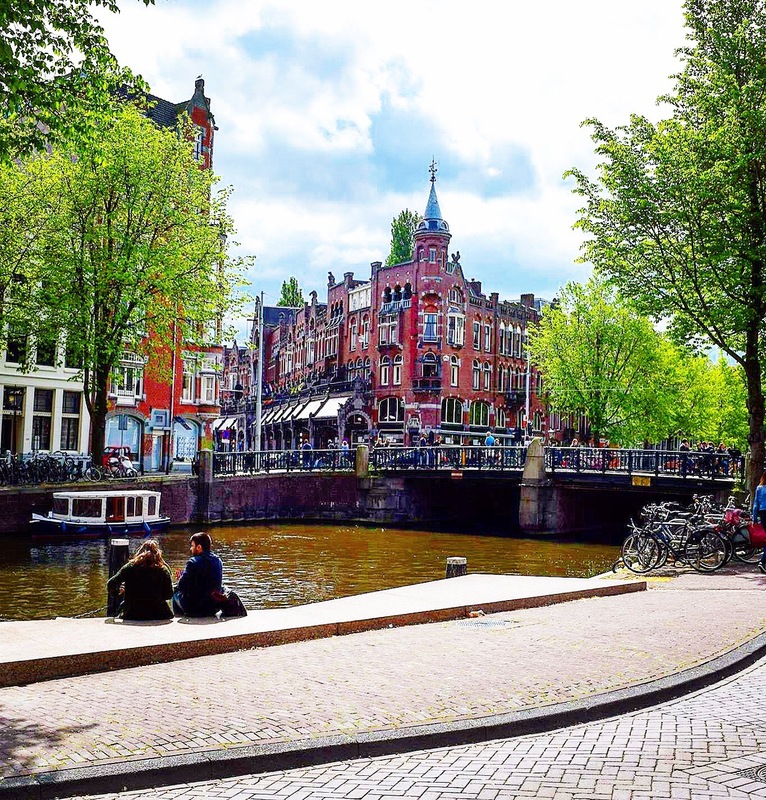 The smell of weed lingers around the many smoke shops a long the canal mixing with the aroma of fresh beer from the many bars. 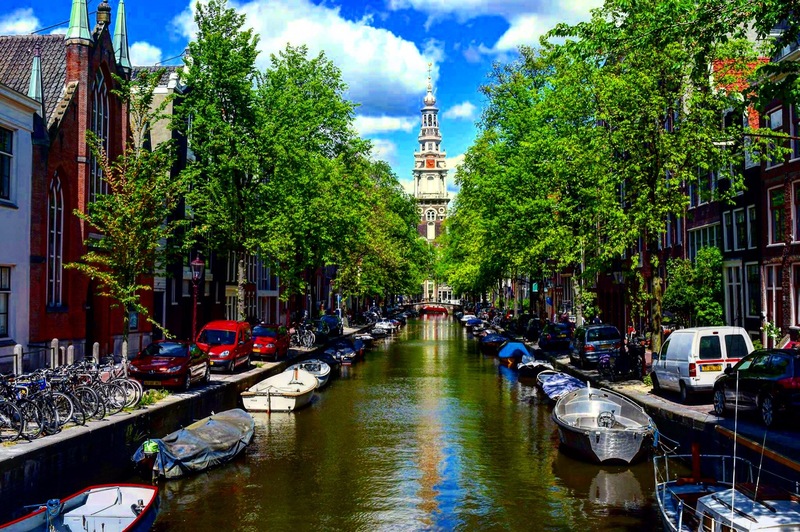 The Oude church sits right in the heart of the Red Light District and is an imposing figure in the skyline. In the cold winters the smoke creates a haze around it giving off an erie coldness to it. 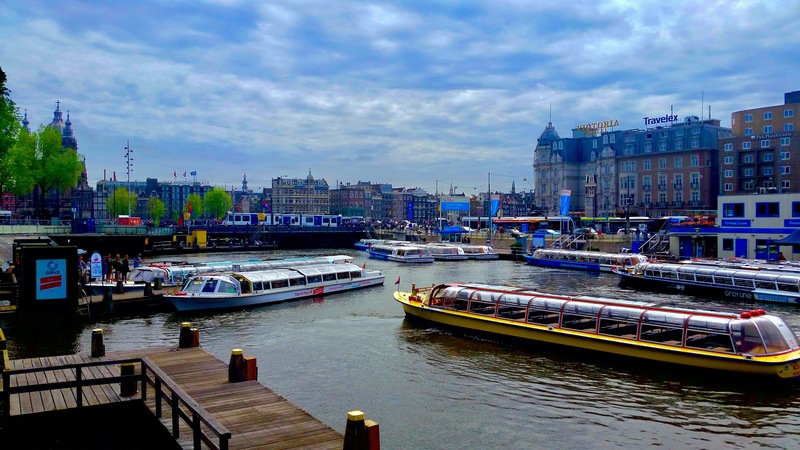 The many canal boats ferry tourists through the canals of the city while showcasing all the city has to offer. 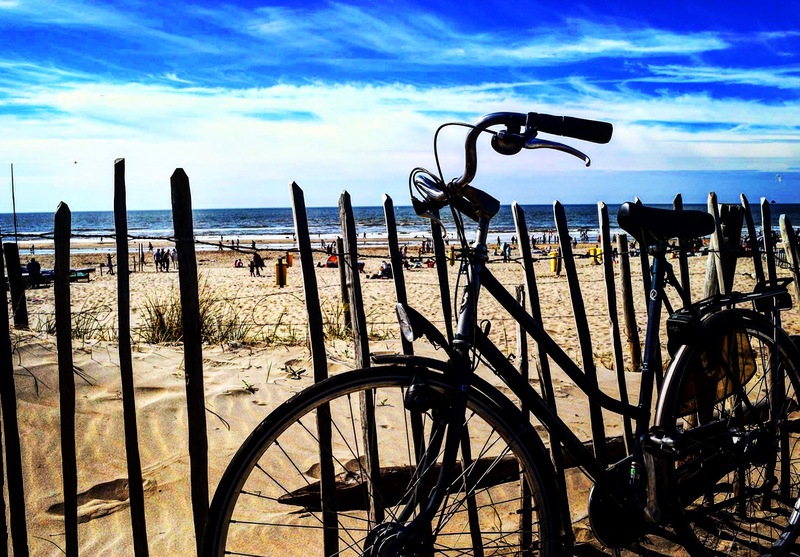 A 45 minute ride north to the town of Noordwijk makes a great day trip. The beach side town is a perfect getaway from the bustling hum of the city. A couple sit along the canal enjoying the scenery. 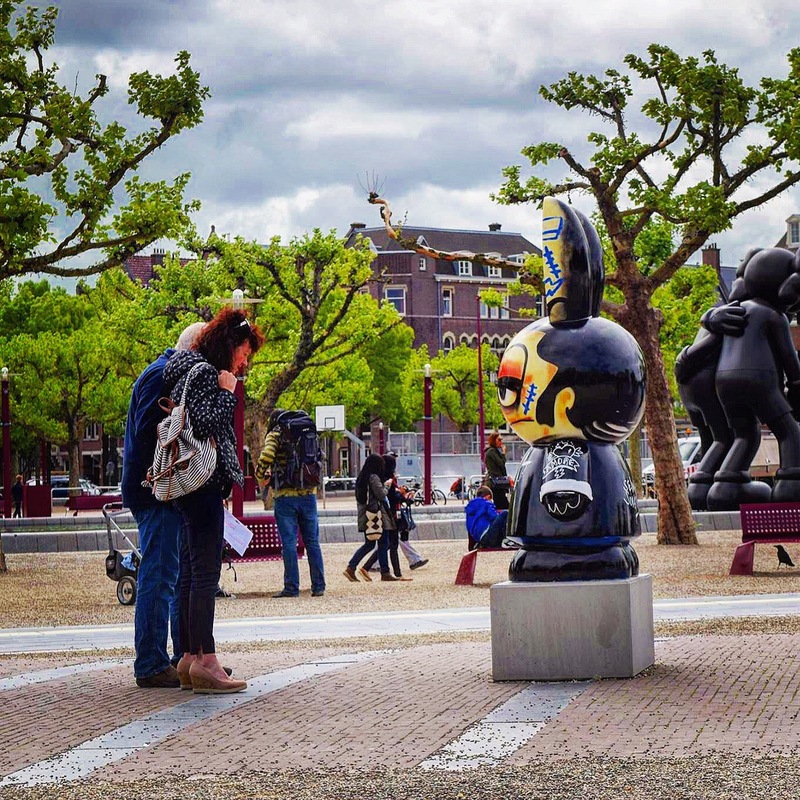 An art installation brings a couple to admire the work but it seems the work is unimpressed. 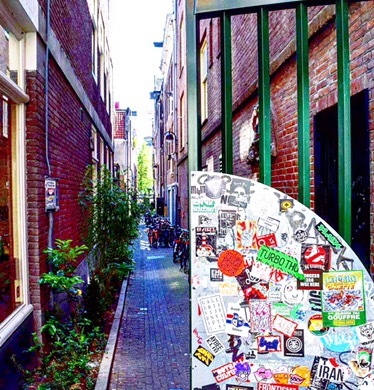 Instead of passing by the alley ways try to stop and explore a few. You never know what you may find! I went down one and found a beautiful Buddhist temple in the middle of the Red Light District! If your lucky enough to pass one of the canal locks being used stop and watch it. See how the old technology has adapted to today’s modern world. Some of the lock masters buildings have been turned into bars and restaurants so you can still enjoy them today! I got drunk and pretended I was the lock master! I wouldn’t try that. 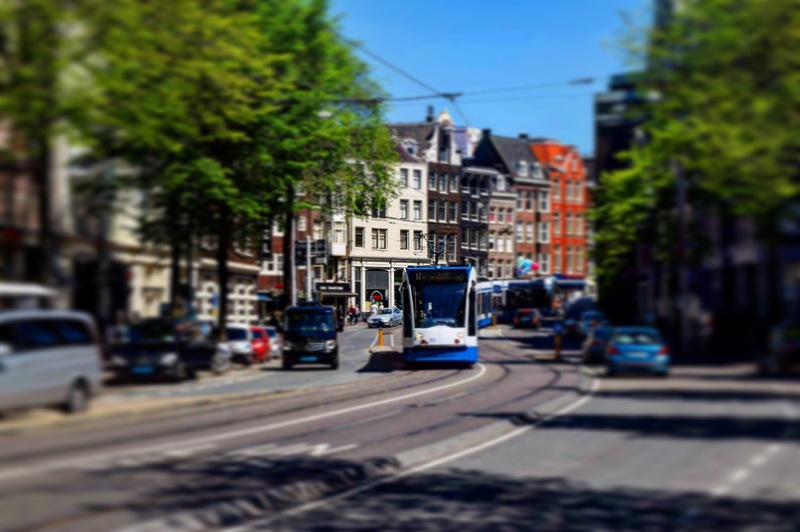 One of the many trams around the city. Just make sure you don’t step out in front of one! I saw this happen and it didn’t end well for that guy..yikes!! 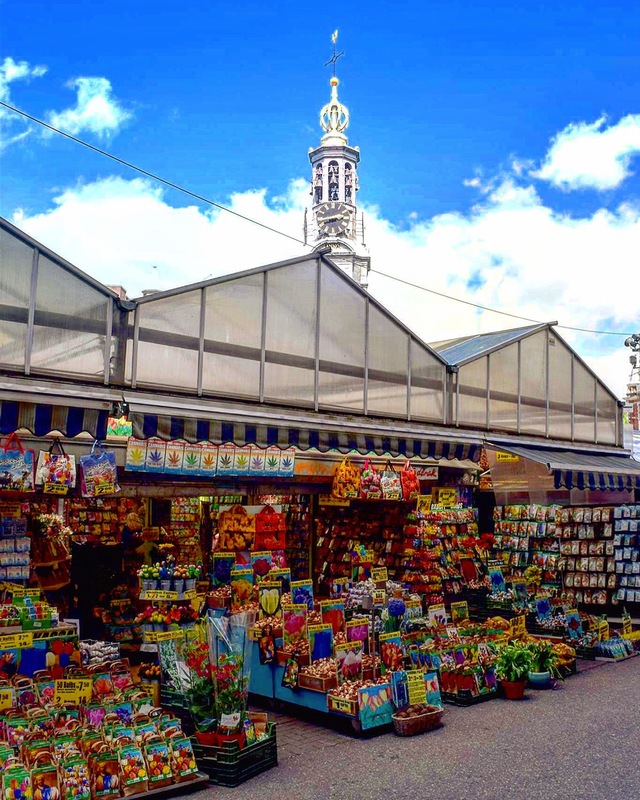 One of the many flower markets in the city. Take the time to enjoy all the wonderful colors of the market and surprise your girl with some!! This comprises a collection of my favorite photos I took while exploring one of my favorite cities. I hope this photo essay has inspired you to go out on your adventures to explore and learn more about the world. Did I miss any iconic photo-ops around the city? Share your stories and comments below!